Growing, selecting, preparing and eating food happens every day for the people of our lucky country Australia. Here in Australia’s salad bowl we have many choices for growing and buying food. More than just a daily necessity, food is part of our family celebrations. Food brings people together and growing food is one of life’s most rewarding pleasures. However, in the midst of plenty, there are people doing it tough as Debra Massey from Laidley Crisis Care knows. For some people buying and preparing food is a daily struggle. Laidley Crisis Care is the only local agency for emergency housing in the Lockyer Valley and at the moment there are more than 40 homeless families living here. There are many reasons why people end up homeless. Deborah Massey says the most important issue is employment. Many local people don’t want to leave the Lockyer to look for employment and if people lose their job in the city, they often return home. “Anyone is only a few steps away from homelessness” says Debra. It takes six weeks for social security payments to start and in spite of many incentives and help available, gaps remain. Without a job, it is hard to pay the rent. Without a home and a shower, it is hard to present yourself well at a job interview. It is also hard to relax and socialise. 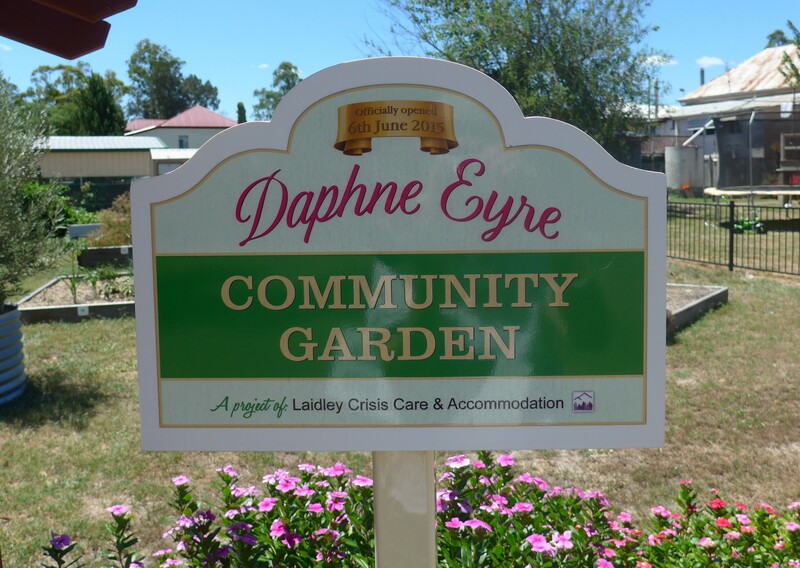 Laidley Crisis Care established the Daphne Eyre Community Garden to bring the community together with a common love of growing food. 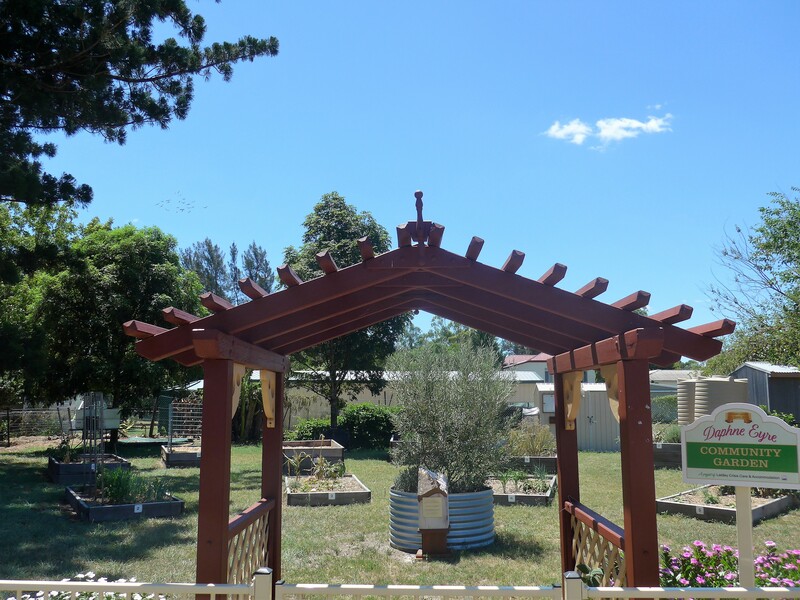 Set behind the Uniting Church in Patrick St Laidley, it is a place for people to relax, garden and meet others. There is a children’s garden, herb gardens and a flourishing passionfruit vine. The garden is also a memorial to local resident Daphne Eyre, a special person who acted from the heart to help others in need. Community members can apply for membership to the Community Garden. 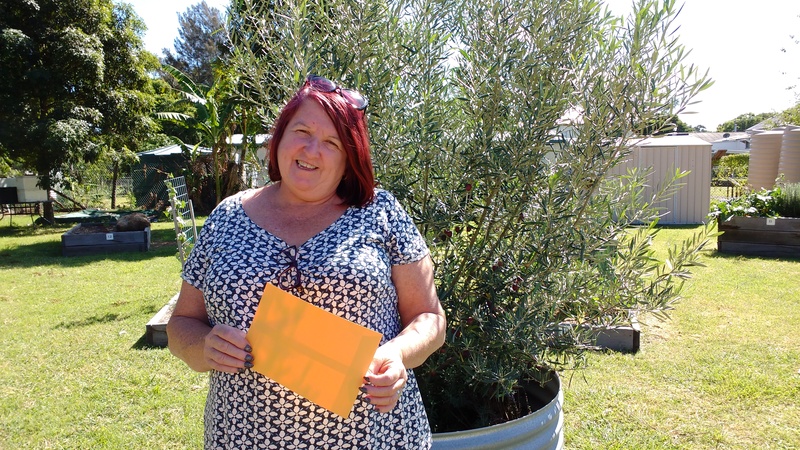 Debra Massey was grateful for the recent donation from First Sunday Food, a new seasonal food event organised by Gecko Grove Fine Foods and Mormor Food. Money donations are always welcome, however the Community Garden is also looking for volunteers to help maintain the garden. 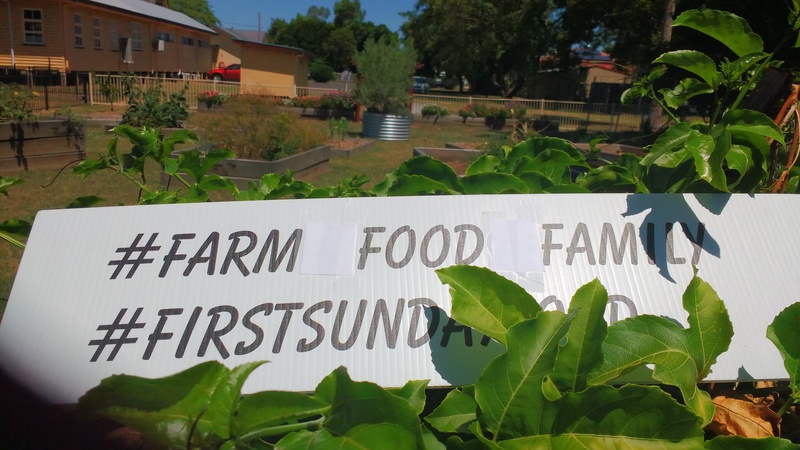 Tags: community gardens, FirstSundayFood, homelessness, Living the good life, lockyer valley, LuvyaLockyer. Bookmark the permalink. Previous post ← The weather may be getting cooler but First Sunday Food is heating up.